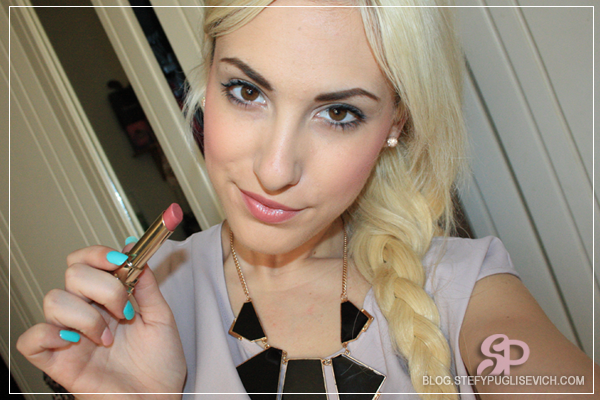 The perfect natural rose lip colour that I own. 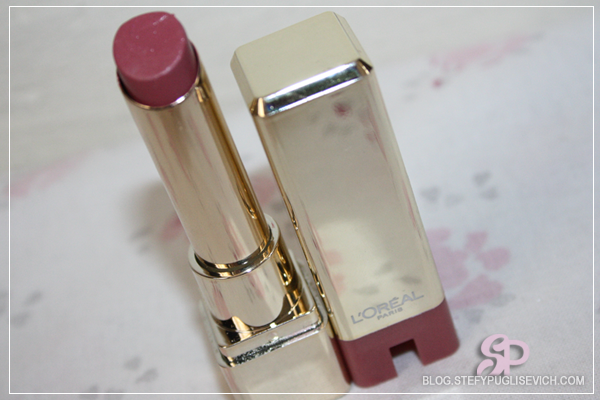 This is actually my first ever L'Oreal Product as I have never ventured into this brand as of yet. 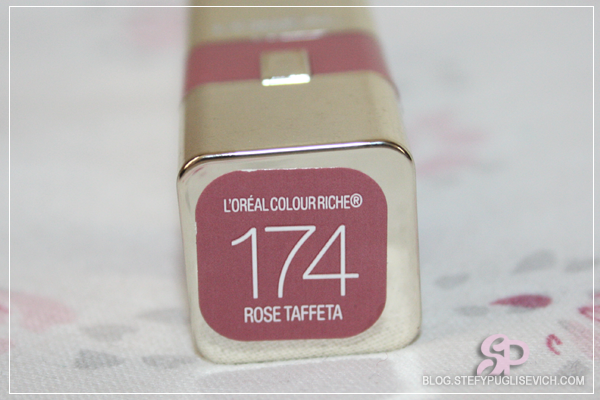 After seeing these being reviewed all over blogs and YouTube I picked up the L'Oreal Colour Caresse by Color Riche Lipstick in Rose Tafetta that needed to be in my Lipstick Stash ASAP. If you just look at the outer packaging, it is a gorgeous mirrored gold square case that reminds me alot of the beautiful YSL lipsticks. The colour of this lipstick is more of less a natural lip colour. 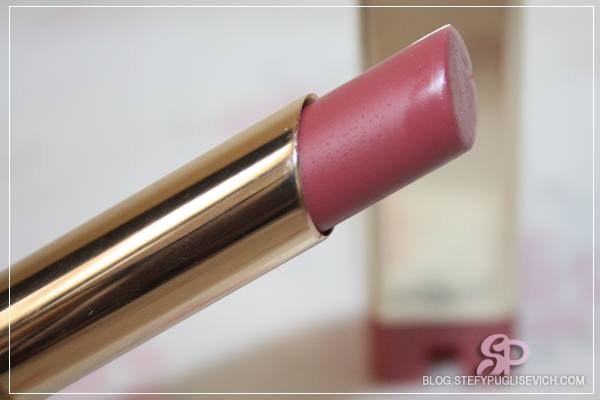 The soft formula makes it very easy to apply as the pigment of the lipstick itself is amazing. One thing for sure is that many have said they are similar to the Revlon Lip Butters as they do have that slippery feeling but in fact they actually have more pigmentation then the lip butters. What I did find out is that the packaging between the UK and the US is very different. I bought mine for a US seller on eBay and I am not liking the UK packaging as the US packaging makes it look like a rather high end brand. I purchased mine off eBay for $5.99 with $6 shipping so the total for me was € 9 for this which i thought was very reasonable. If you live in the US these are $7.99 in Target and for the UK these are £7.99. 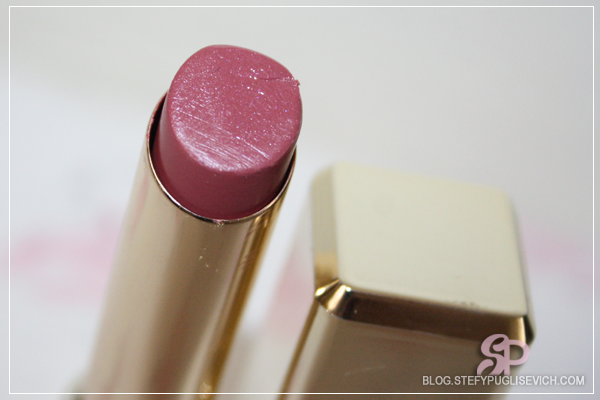 Overall, I think this lipstick gives perfect colour payoff and even when my lips are a bit chapped or dry, these lipstick will definitely put some moisture back into your lips. I actually want to get some more of these as I really like the formula of these lipsticks.